Two more days left and it's Christmas! I am sure everyone of you having countless Christmas date or night out and even start wondering any nice place for a proper hairdo. Even though I am a major in bridal make up and hairdo, yet I have a tough time styling my own hair as I can't see my hair from the back. So, instead of doing on my own, I gave a pass to Nick, during my very first visit at HairCo, The Gardens Mall last Friday. I was stunned when I was passing by the shop. The black walls and the modern French windows make the shop even outstanding among the other shops. The modern French windows are always my favorite as they makes the overall interior look much elegant and magnificent, I even think of having all the French windows with pure white/black walls in my dream house by the seaside. Taking a sip of rose tea and enjoying the great bay view through the windows.WHAT A LIFE. 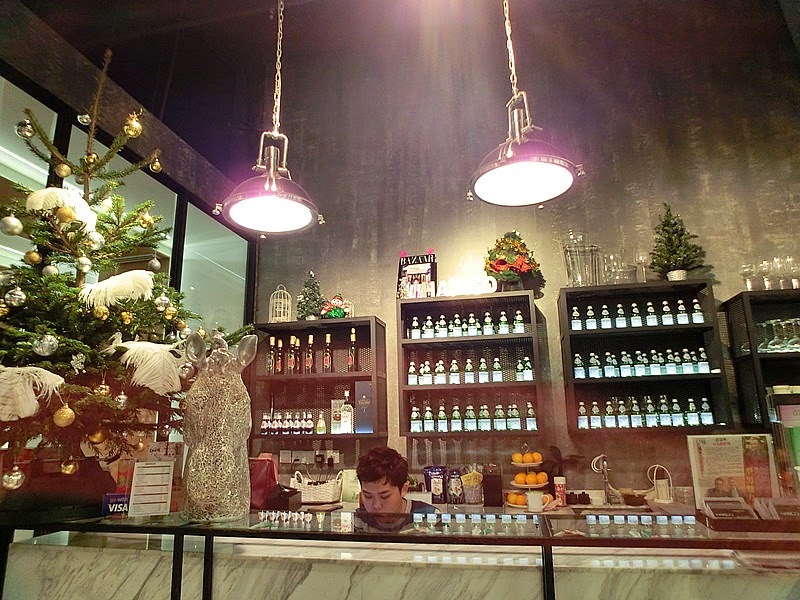 The salon is also well-decorated with all the Christmas ornaments. Christmas tree at the waiting room with all the wrapped gifts underneath. 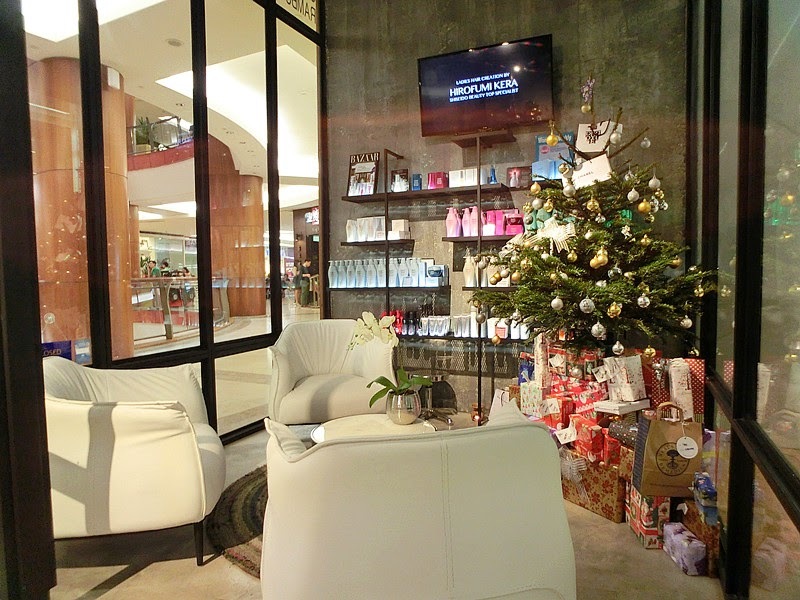 Besides the decoration, there's a shelf displaying all the Shiseido products. Yup, they used Shiseido products for all their services as it's a brand from Japan and they are meant for Asians' hair type. The crystal lighting decorations at the center adding more of the wonderful Christmas holiday atmosphere, like gigantic snow balls. As you can see, the place is really clean and neat. 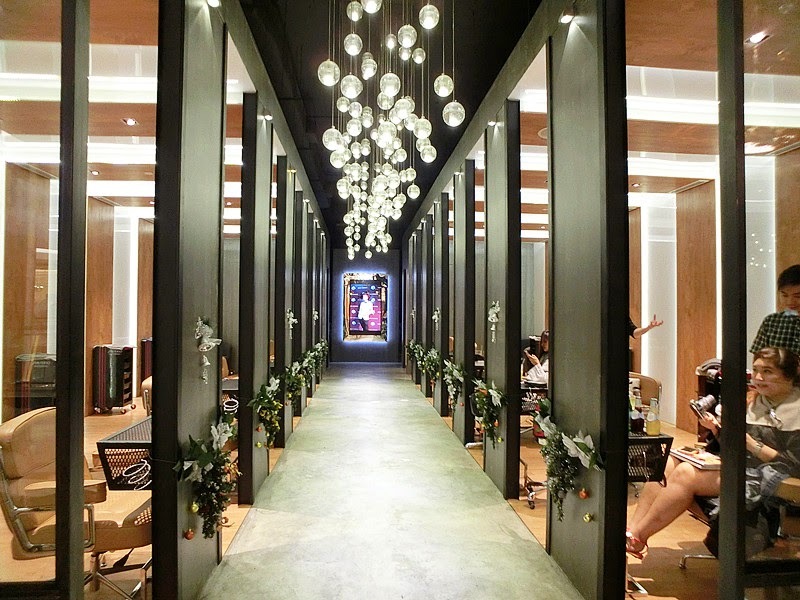 Extreme comfortable environment while enjoying the hair session there. 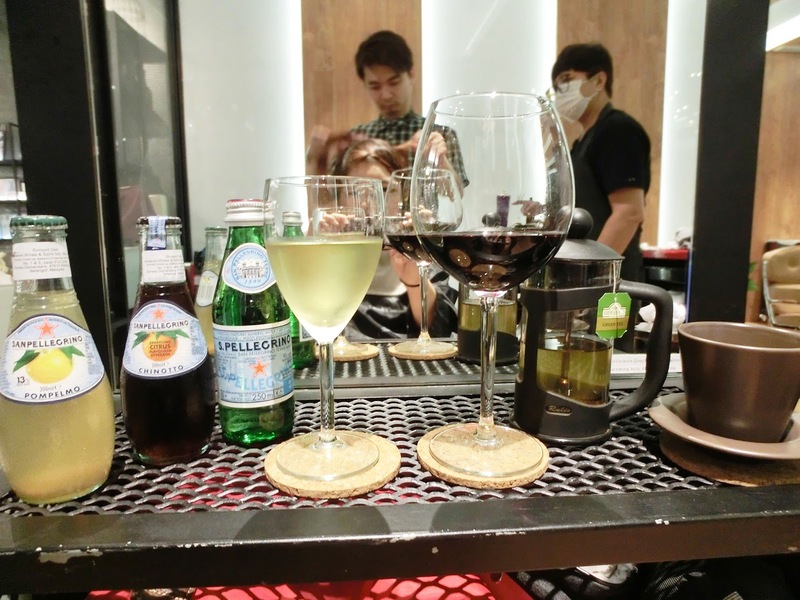 I was really impressed that they even have an in-built drinks counter that serves their customers with all kind of beverages like fresh juices, sparkling juices, tea and wine as well! OhMaGawd, aren't they too awesome?? Serving the customers with the best drinks and so do the services, treating them like a VIP. It's definitely the most gratifying hair session. 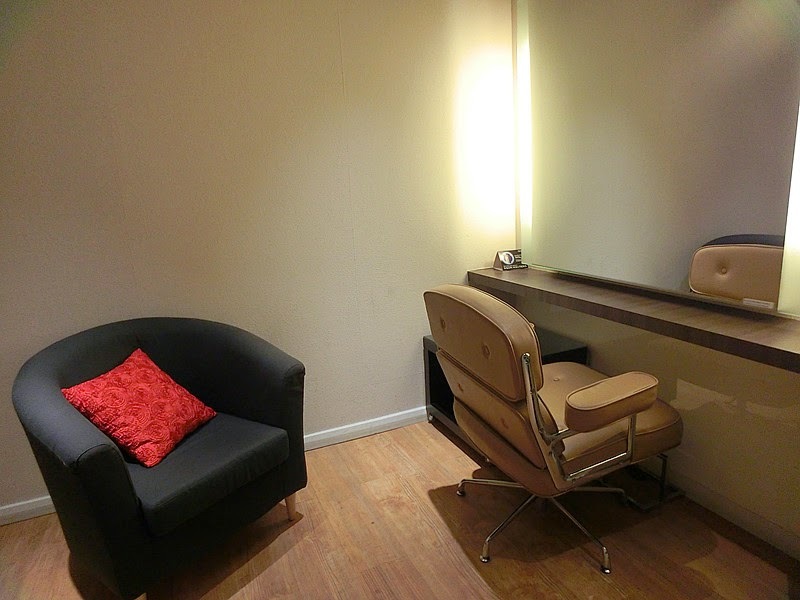 They even have a VIP room for guests or customers who want most of the private and personal space or moment. They can even have their hair wash in the VIP room. After being amused by the interior, I was lead to sit and got introduce to my hairstylist of the day, Nick. I have the perfect scalp massage while I was off for hair wash. 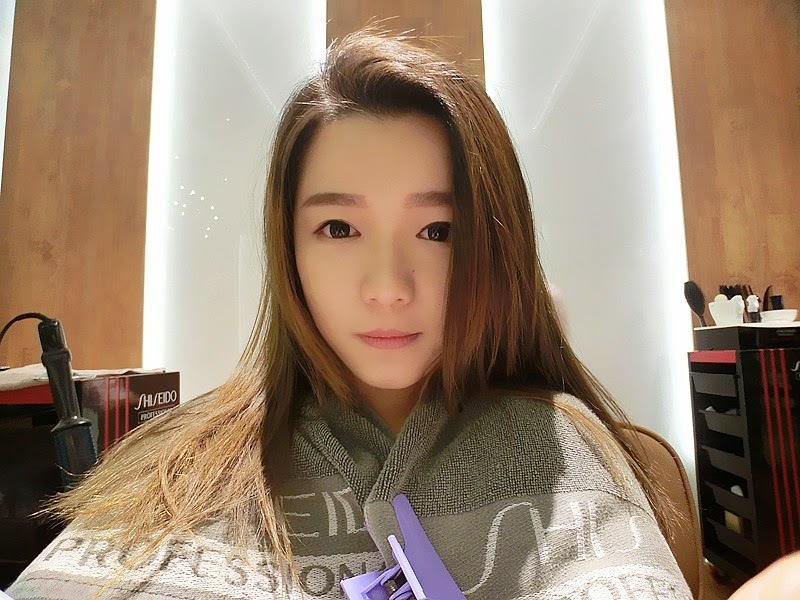 The scalp massage was so details and relaxing that I almost fell asleep. 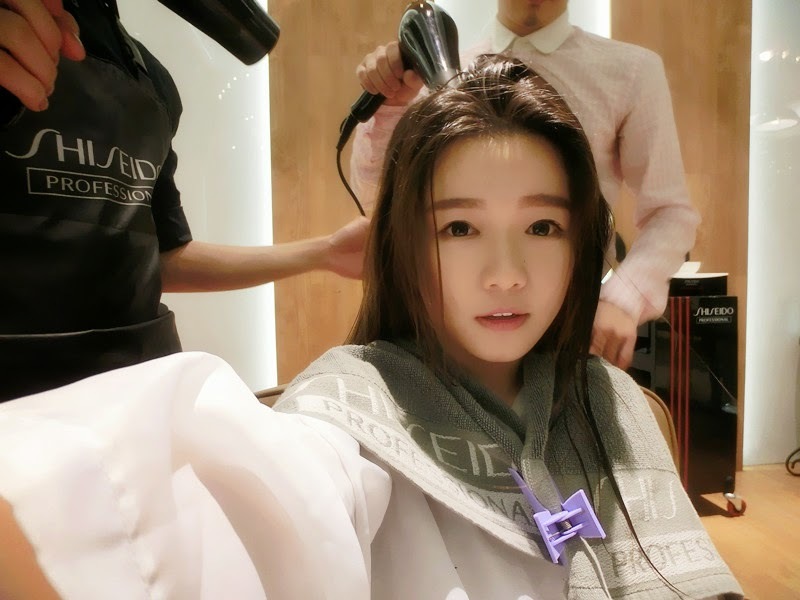 Then, I have my hair being blown dry by two hair stylists haha! Cool. Here's how my frizzy hair looked like when they were dried up. But they looked much smoother than how they usually do. The party hairdo started when Nick tong-ed my hair with Instyle (explain further below), that made the hair curls much wavy and natural. With all the precise twists and curls, that looks a bit like flower buds, they added in a much graceful sense on me. Yet the overall looking was still casual and a bit country-side kind of feeling as there were few strands of hair falling from the side, as like the wind blown and also the natural hair waves. 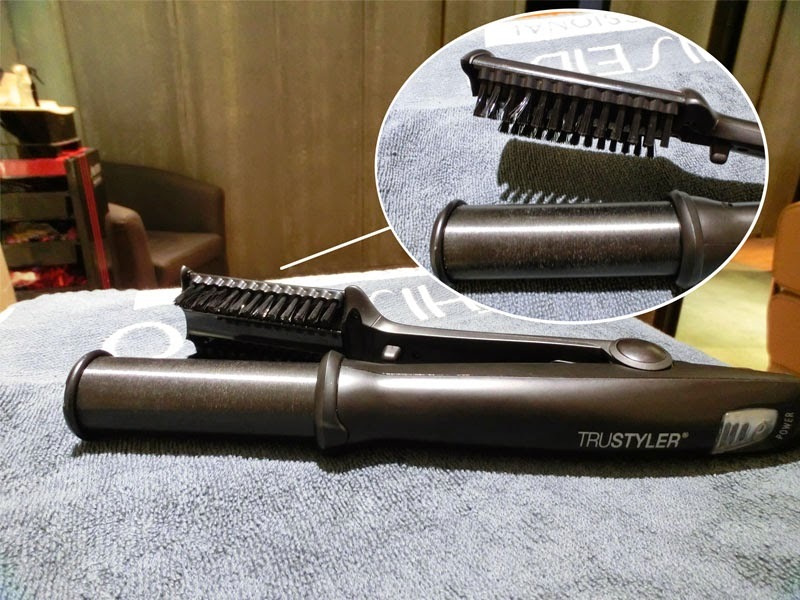 This is Instyle, a curling tong with combination of comb (smoothen our hair while curling) and ceramic heater (will not damage our hair) with two sizes available. Just imagine the usual curling tong you use at home, it's just a steel/iron with heated up to 160 Celsius. It definitely damage our hair eventually. But Instyle don't. 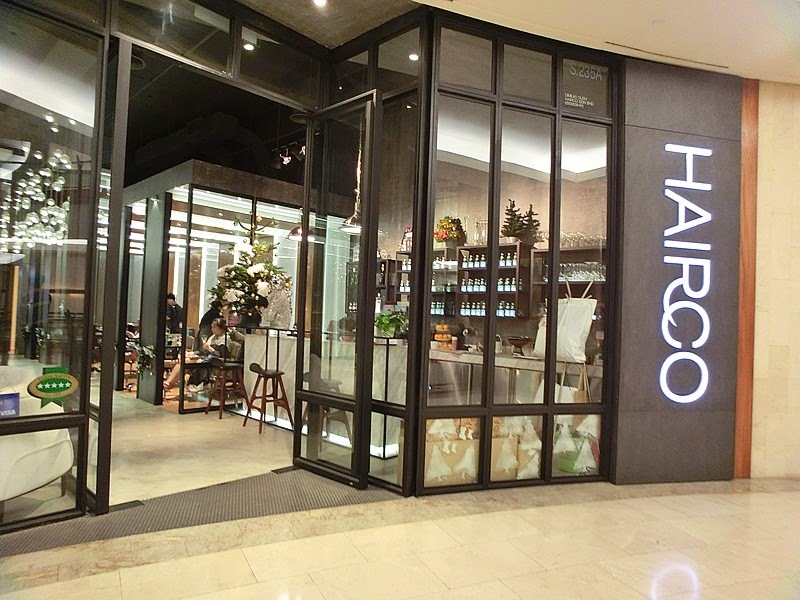 HairCo is retailing Instyle at RM800. All the hair stylists there are super friendly as I really spent an amazing moment having conversation with Nick and even HairCo's founder, Raymond. 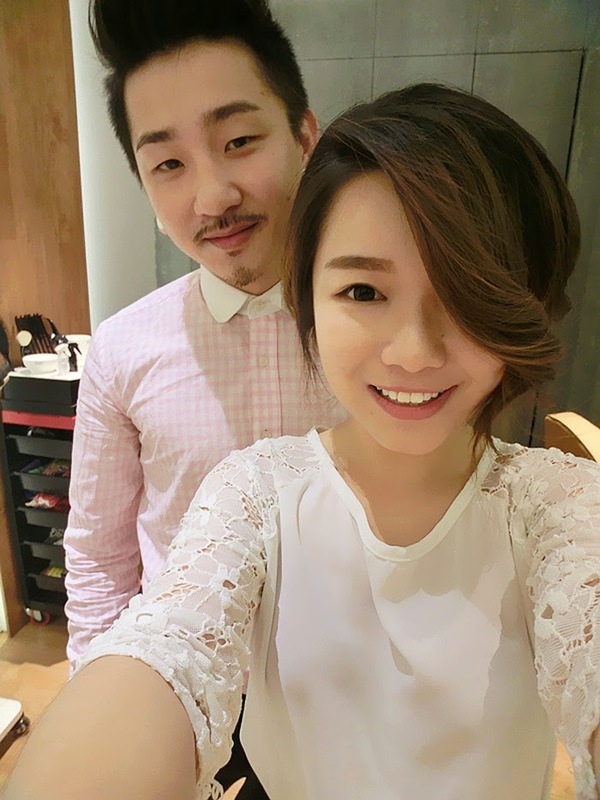 Thanks Nick for the whole hairdo session, being so tolerance and patience to me. I can feel myself being pampered like a Queen indeed, served with wine and being told ways to take care of my own hair. 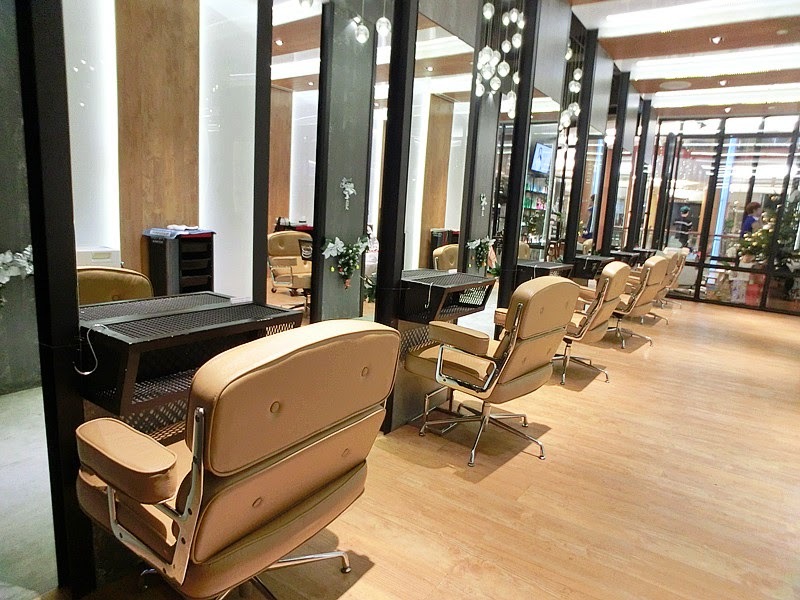 It's a really cozy environment and definitely a delightful or luxurious hairdo experience, first ever experience. 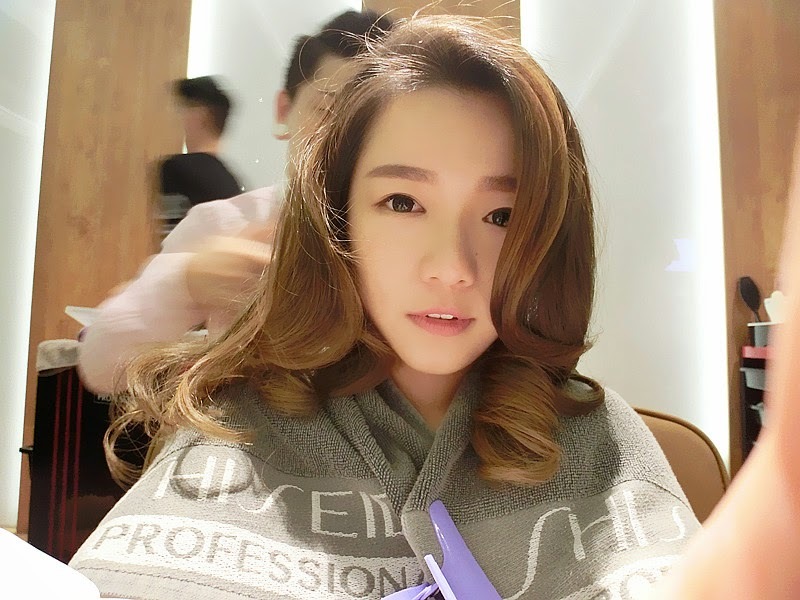 You feel heart-warming in HairCo - a lifestyle hair salon, having a different experience which worth the pay. It's not about getting your hair done, but enjoying your hair getting done. You will never feel yourself staying in a salon, or even like a fool, afraid of being judged by the hairstylist. Raymond is sucha humorous guy and of course with his edgy hair color. 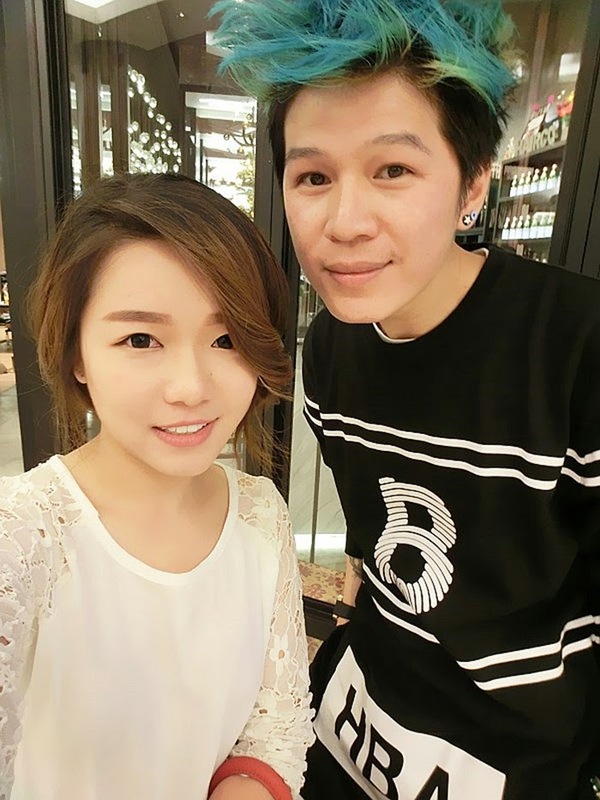 He told us that there's no certainty for any hairstyle that suits your face shape or own self. Shouldn't having a hair style that cover your face as it's too puffy. You wear the hair, instead of the wearing you. The best way to know yourself better is change. Put on all kind of make up, hair style or even clothes and get the different you as you may realize that the different side of you will be revealed by changing. 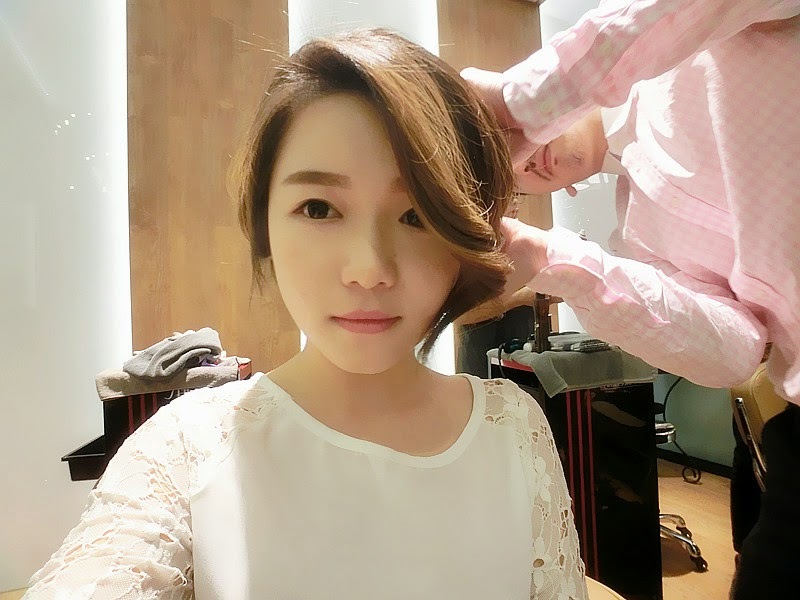 Do not afraid chopping off your damaged hair because hair will grow eventually. HairCo is having a promotion which just right up for our coming Christmas! 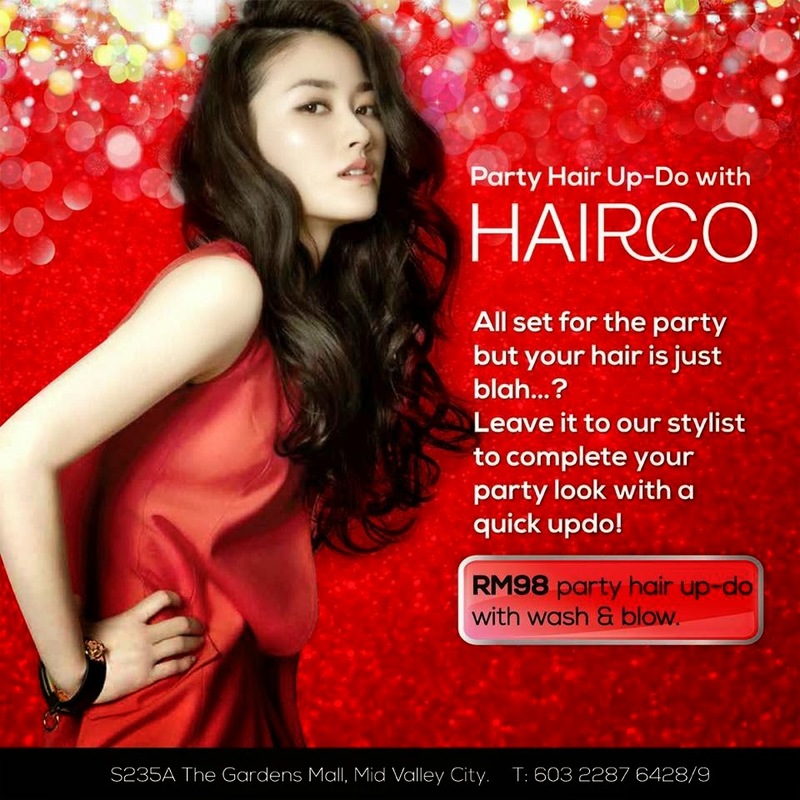 RM98 for wash+ blow+ party updo! Make an appointment now! p/s: Christmas giveaway is still running! A pearl bracelet for the perfect new year date. You look beautiful & loved the both the hair do. So pretty! Wanna know more about the Instyle. Looks interesting.